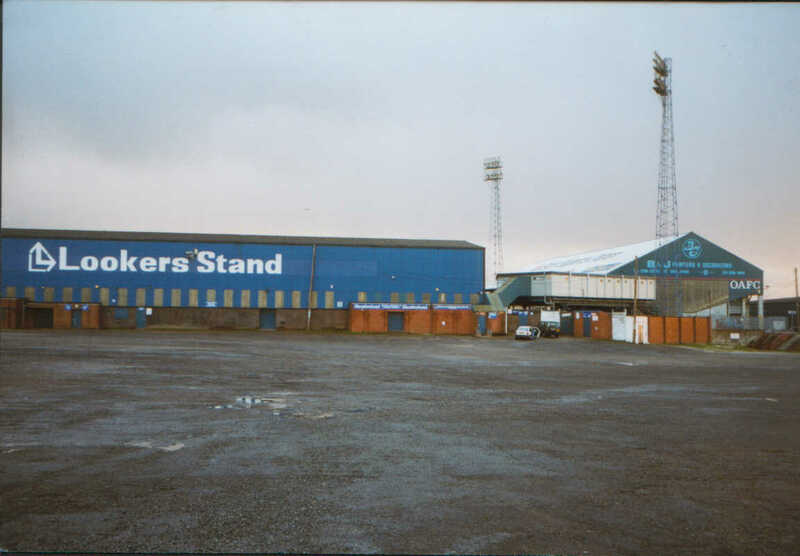 In my first visit to Boundary Park, Wycombe were 2-0 victors. It was our first away win for 6 months, so it was a shock, but a very welcome one. Goals from Dannie Bulman and Richard Harris were the difference between the 2 sides. 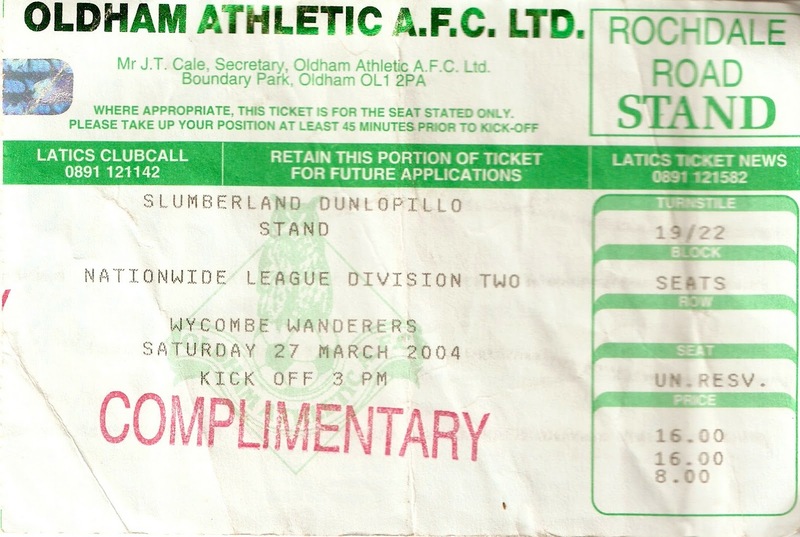 And Boundary Park must be a lucky charm for me, as the other time I went there, in March 2004, Wycombe won again. This time it was our first away victory for over a year. 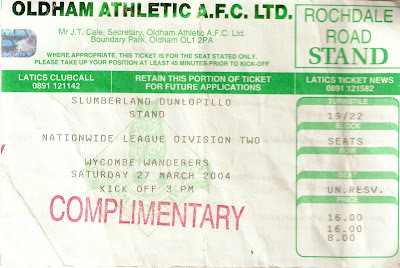 Despite Paul Murray giving Oldham the lead on 18 minutes, Wycombe equalised 5 minutes later through Nathan Tyson. Tyson scored again with a great goal just before half time, but Oldham replied straight away to make it 2-2 at the break. It was left to Craig Faulconbridge to grab an 88th minute winner to send the travelling support into delirium. 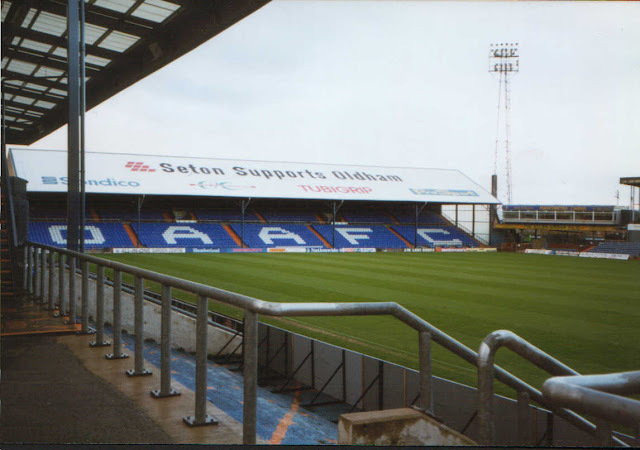 BOUNDARY PARK once hosted Premiership Football back in the early 90's and has the all seated capacity to show for it. 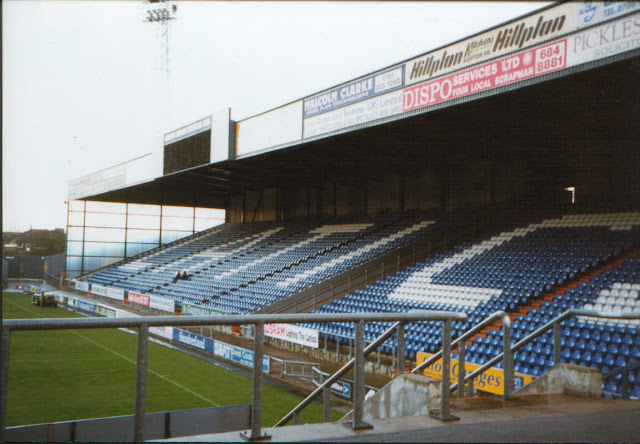 Though some of the ground is looking a bit rough round the edges (one stand has been demolished so I am told) it is still a decent place to watch football Away fans get one half of the Rochdale Road Stand, probably the best stand in the ground. Views from here are good as it is a fairly modern stand. 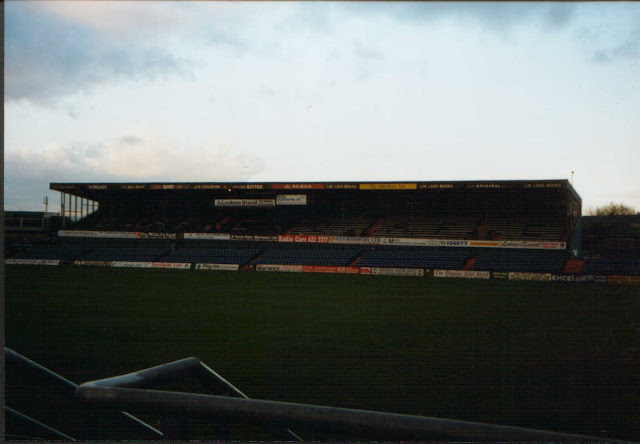 The same could be said of the Chadderton End, at the other end of the ground, which looks similar. 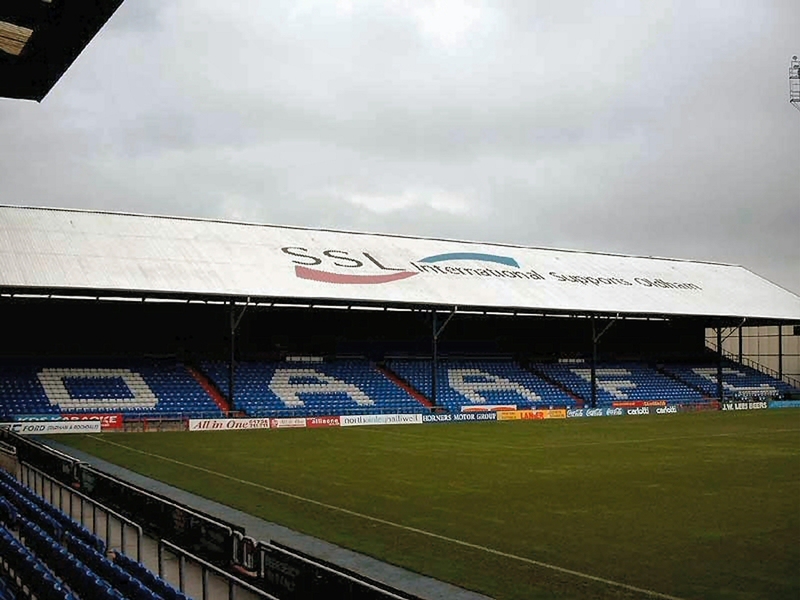 Completing the trio of stands is the main stand. This has areas of unused terracing at either side and is the oldest stand. The other side that used to be there, the Broadway stand has now been knocked down. 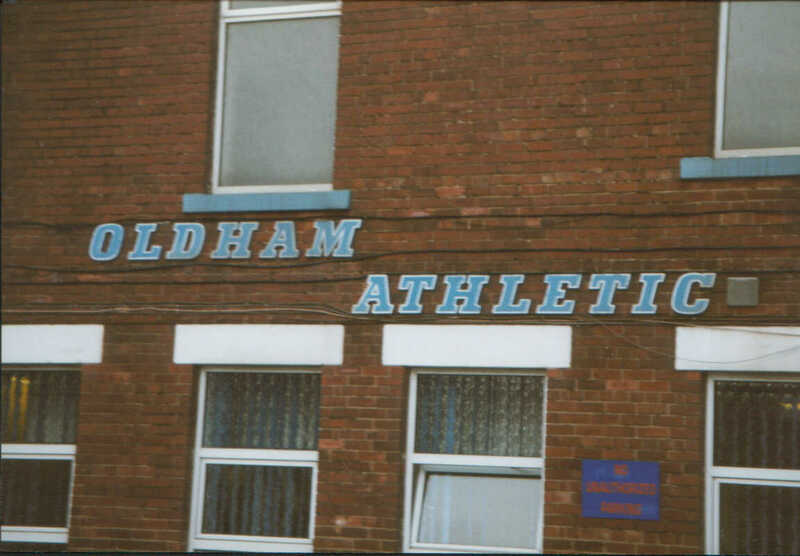 As for pubs, I have always drank in the Old Grey Mare on Rochdale Road (the same road as the away end is on) This is pretty good from what I remember. There are also a couple of takeaways nearby, but bafflingly, these close at 1.30PM, despite only being a few minutes walk from the ground.